TM Quality & Environment ensures that quality management is implemented throughtout your organisation. Fully integrated with the other TM Master modules, this module offers a cost efficient way of staying in compliance with rigorous quality standards. TM Quality & Environment is used to handle undesired incidents across the fleet. Record and report accidents or near misses, third party involvement, corrective or evasive actions and a wide range of other data. Use the electronic logbook to monitor and track consumption, NOx and CO2 emissions, and maintain a complete overview of hazardous materials used in the ship structure, components or spares with our Index of Hazardous Materials module. 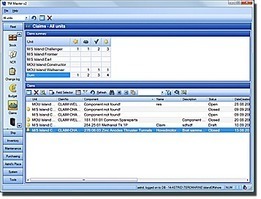 The document management features allow you to import and attach any kind of document to an incident or an IHM record. Add pictures, statements, official documents or written reports. TM Quality & Environment handles virtually every file format in common use. TM Quality & Environment is a fully integral part of the TM Master Suite, which enables you to pull information from the other modules in the suite whenever needed. 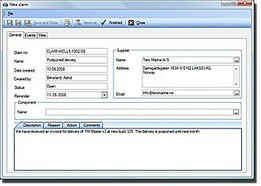 Import crew information from TM Human Resources, add corrective or evasive actions to the job list in TM Maintenance or TM Docking or pull vessel and voyage information from TM Voyage eLog. Its versatility and powerful information and process management features makes TM Quality & Environment one of the most cost efficient and versatile quality assurance systems in the marketplace.